Well – fine fiber technology essentially creates a soft, light, and natural ultra-thin membrane on the surface of human skin. This fine fiber technology is used to allow cosmetic products to apply more evenly and to last longer. This innovative, new technology’s development was recently announced by Japanese consumer goods brand Kao Corporation. The film, which is made up of these superfine fibers, is only submicron thick in diameter, and it is applied by directly spraying the skin. The fine fiber, the polymer solution is applied directly to the skin with a small specialized applicator. The spray applicator was designed to be easily used by consumers who wish to use the technology at home. That being said, the technology is not available for purchase at this point in time, as it is still in development. This technology mainly has applications in the cosmetic industry (skin care and makeup), however, Koa is working to advance the use of fine fiber in the therapeutic field. In addition, research regarding the technology’s application in fiber engineering, dermatology, and cosmetics science is being presented at a variety of academic conferences. There are currently countless different options of resilient “all day long” makeup options on the market; however, in the near future, you may be reaching for a fine fiber application device instead. 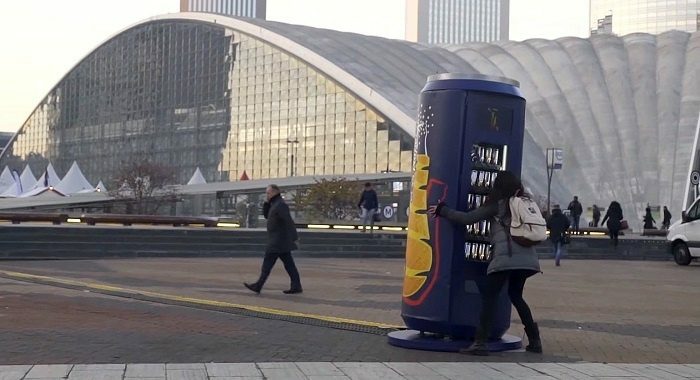 As part of an advertising campaign, Orangina debuted a clever vending machine that tricks buyers into thinking that their drinks are stuck. Since Samsung released the foldable phone more than four years ago, Samsung revealed their new foldable smartphone design this week. creatе your theme? Superb work!